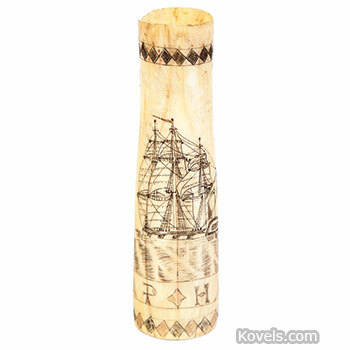 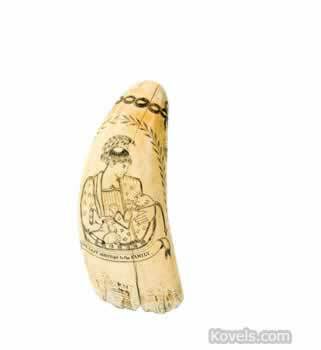 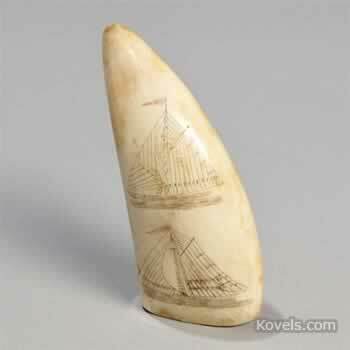 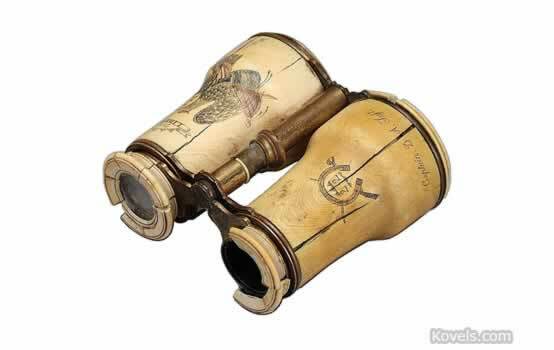 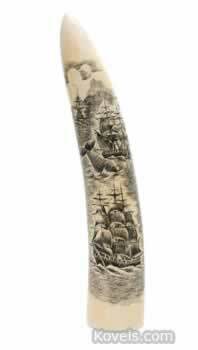 Scrimshaw is bone or ivory or whale’s teeth carved by sailors and others for entertainment during the sailing-ship days. 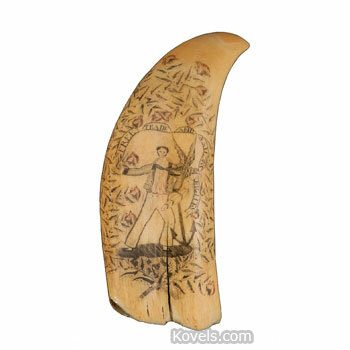 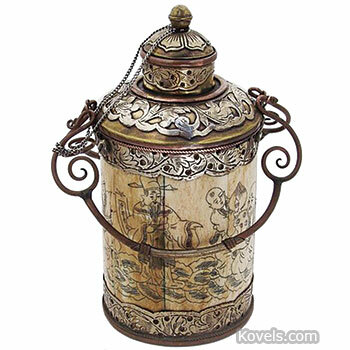 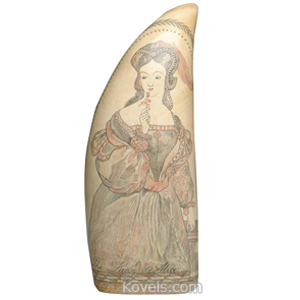 Some scrimshaw was carved as early as 1800. 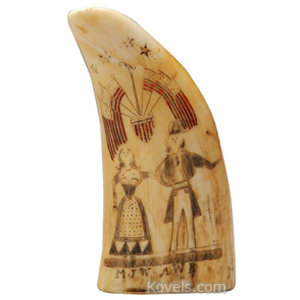 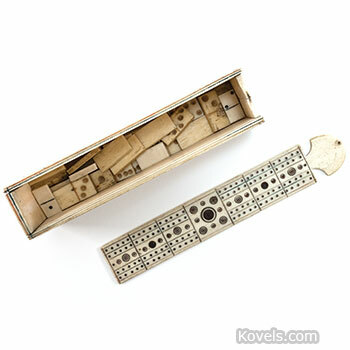 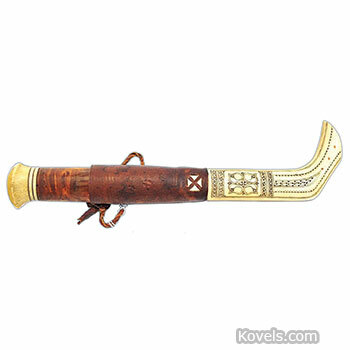 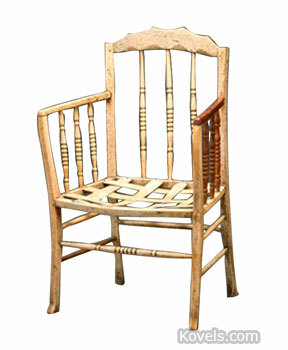 There are modern scrimshanders making pieces today on bone, ivory, or plastic. 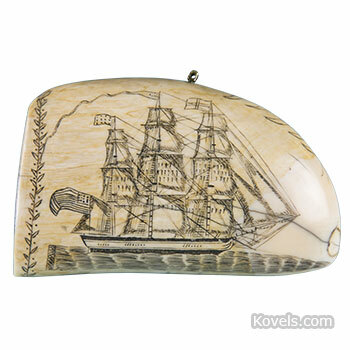 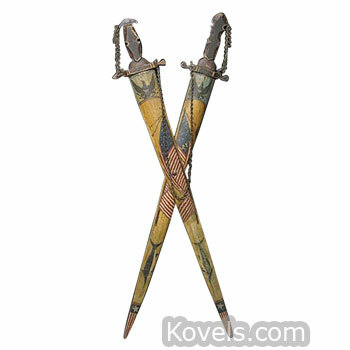 Other pieces may be found in the Ivory and Nautical categories. 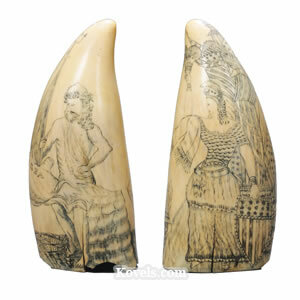 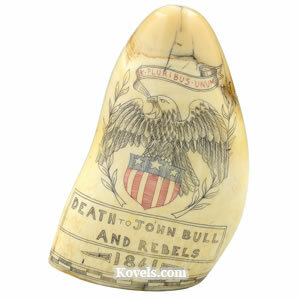 Collectors should be aware of the recent laws limiting the buying and selling of scrimshaw and elephant ivory.